Hosanna in the highest! Blessed Palm Sunday everyone!. My how time sure does seem to move quicker these days. Just a few months ago it was Christmas and now we are getting closer and closer to Easter. 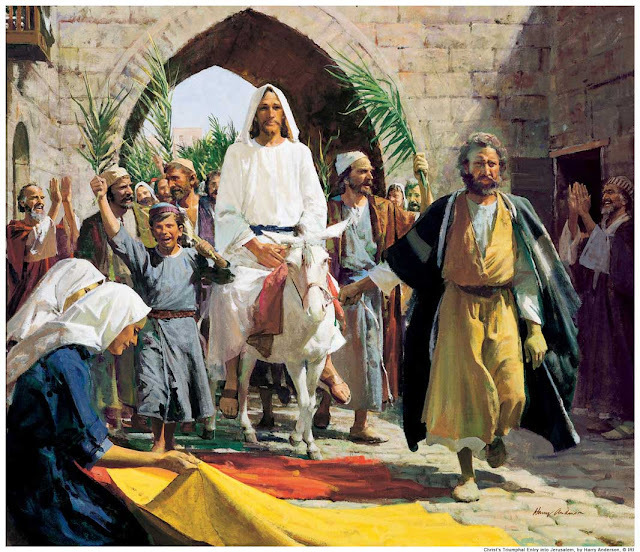 Let's take a look at Palm Sunday for a moment shall we? Take a good look at the photo.. Jesus arrives in Jerusalem to cheers from the crowd all hailing him as their king! Hosanna to the king they scream! If you didn't know, the word Hosanna was used to express joy, praise, adoration. The people 'loved' Him so much they even put palms on the ground so the feet of the donkey didn't touch the ground. He was their king! He was going to save them from the Romans! This was the "man" who would release them from the Roman occupation. He would be their king, their commander and chief. He would send them into battle and win the war! They couldn't have been more wrong. Let's think for a moment what Jesus must have been thinking and feeling at this moment in time. Jesus was a humble master, not one for earthly adulation so this may have been a little off putting to Him as he entered the city but, Jesus also knew what was in the hearts of the people and I wonder if he felt pity for them in their joy because He knew He wasn't there for the reasons they expected. Jesus knew why He was entering into Jerusalem . He knew he was heading to His death. He knew He was not there to be their 'earthly king" but the people didn't understand this. I often try and put myself in the shoes of those people. Would we have thought any different at that time? Probably not. 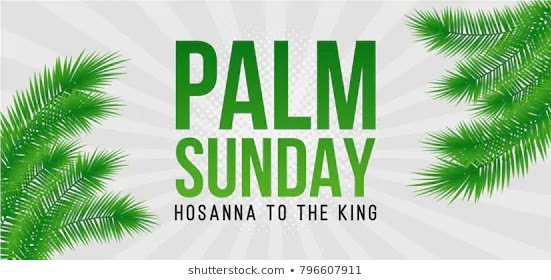 While Palm Sunday always 'seems' to have a very happy connotation to it, in truth, it's really the beginning of the holiest week in all of the Christian Church.....Holy Week. We need to use this week to prepare for what is coming. Please leave me a comment if you found this post helpful. I do so hope you have. Yes to thinking about Palm Sunday and I wrote about it as well. Although from a far different angle. I've always loved G K Chesterton's poem about the donkey; it puts me THERE in a way almost nothing else does.